My team and I will have the pleasure of welcoming you to the Mercure Carcassonne La Cité hotel. Make the most of our hotel's ideal location to discover the architectural heritage of our city and enjoy our culinary delights. 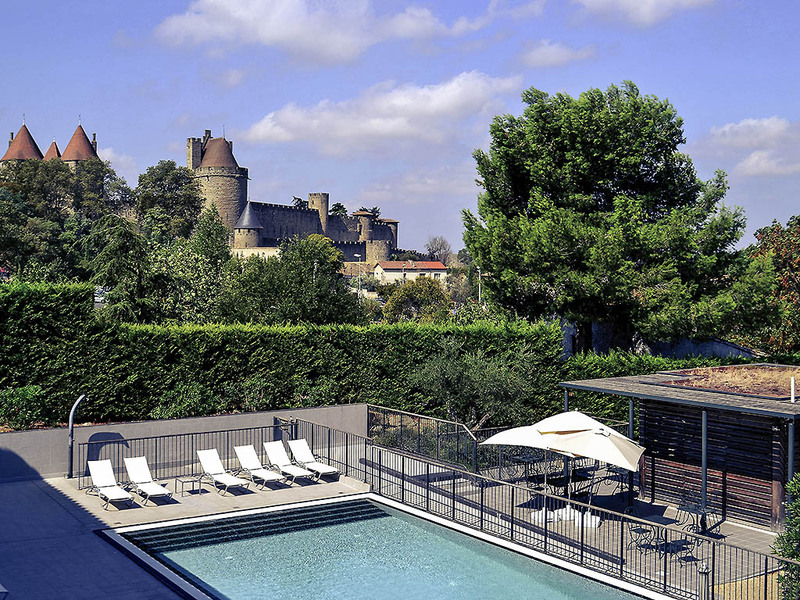 A 5-minute walk from the Medieval City and the city center, the Mercure Carcassonne la Cité hotel looks just like a farmhouse in the Languedoc. Whether as a family, on a business trip, or for seminars, you will feel welcome all year round thanks to the ho tel's warm, refined decor, outdoor swimming pool during the summer season and tree-filled terrace. We also have a restaurant, a bar with a fireplace, and free, enclosed, private car park, helping you enjoy your stay in Carcassonne. You can expect a delightful stay whatever your budget! Choose from our 80 Standard or Privilege Rooms. Choose Privilege for even more comfort and additional services. A restaurant influenced by local dishes. Try out the specialties of the region in our exclusive restaurant.